I’ve been simultaneously excited about and dreading this post, because it’s been a long time coming, and I just want to do this artist justice. 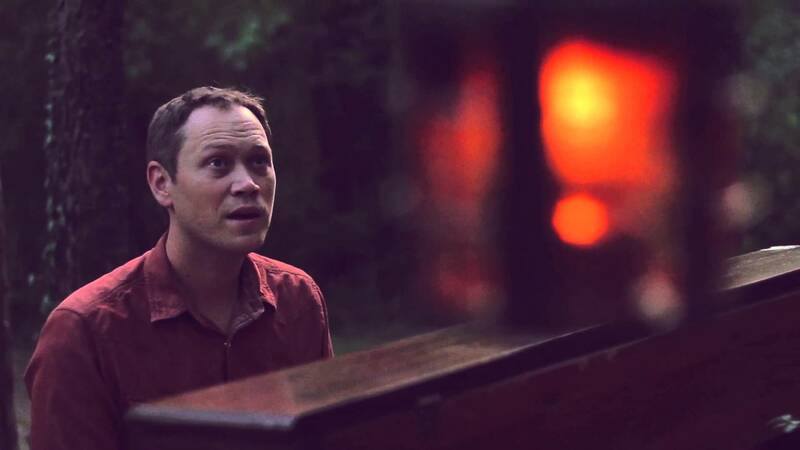 So, without further ado, enjoy this month’s artist, Andrew Peterson!!! 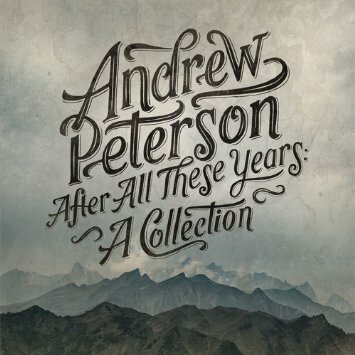 Songwriting: I first heard Andrew’s (Peterson’s? AP’s? I don’t know, for some reason it feels weird to say “Peterson’s”) music somewhere in high school, the album The Far Country. And then I was hooked. I mean, not only is he a great songwriter in general, but he had a song called “Haven’s Grey” and copious allusions to C.S. Lewis and Tolkien in other songs, too, so basically I was destined to love and resonate with his music. Andrew Peterson’s music resonates so deeply with me because not only does he bear his soul courageously, he does it articulately. It’s hard sometimes to find artists who do this. Somehow, he manages to keep writing down the beautiful, life-giving, heartbreaking homesickness I- we- feel for our true home, our true Father. And I’m always surprised at the different ways he can say it. As a songwriter, I feel myself come to life when he puts into words things that I never knew quite how to communicate, like when he mentioned that songs act as avenue for people’s stories to intersect. It’s also profoundly encouraging, because I’ve often struggled with why I personally write songs and have a desire for others to hear them. What is that? Why does God wire me/us/artists this way? So, hearing him describe that aspect of songwriting both affirms and quiets that struggle in me. Andrew’s newest album, “The Burning Edge of Dawn” just released recently! And it doesn’t disappoint. Go buy it now! (Click the pic to see it in the iTunes store.) Read an interview Andrew gave about the album here. Ryan and I got to go last year, and it was everything everyone said it was. It really was- holy. I love that the subtitle is “The True Tall Tale of the Coming of Christ.” It was so life-giving to me to be there, to experience such a unique telling of the story, and to experience other artists as well, some of which were new to me. It was one of the greatest gifts I’ve been given, being able to go to that concert! PLEASE go if you can. Plus, they called it community tour. Are you kidding me??? This is only EXACTLY what I’m all about. One of the men described it as a collection of people gathering to tell The Story. And that’s what we are as artists in the kingdom of God. We gather and scatter to tell God’s story. And whether we are together or apart, he goes with us and- incredibly, graciously- lets us share in it, too. I love the picture of this tour- of people gathering to create and literally tell The Story- because it’s like what we do as the church as a whole. We- the body of Christ- proclaim what he has done, the mystery and wonder of his grace and love, and are transformed in the process, as well as witnessing the transformation of others. At the risk of repeating myself, I say again how I profoundly relate to Andrew’s love of story and of how God uses story to both communicate with us and engage in relationship with us. Which amplifies how dear this series is to me. I don’t know how to articulate the urgency of my desire for everyone I know and don’t know to go and read these books, and then read them to your children. 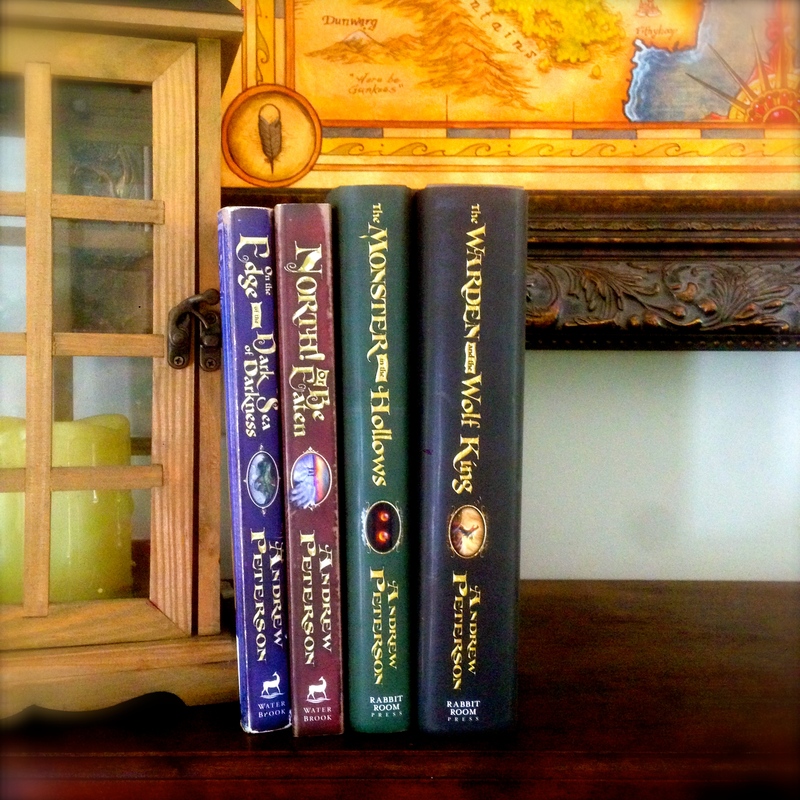 The Wingfeather Saga has the light-heartedness of someone making up a funny bedtime story (i.e. the dangerous “toothy cows” lurking in the forest, and the fact that the evil creatures oppressing the land are called the “Fangs of Dang”… I mean you have to laugh a little bit) along with excellent and beautiful character development, brilliant plot-weaving and world-crafting, and the underlying profundity of a story woven with the longing and love for God. It is the first series I’ve read since Narnia to encapsulate these things. So much “Christian” fiction falls flat and feels contrived. But this? This is the fruit of a heart that beats for the Lord. A review of this book that articulates the wonderfulness of these books far better than this paragraph does may be found here. 4. The Rabbit Room. This is one of those things I’d longed for all my life, and stumbling upon it, I found myself crying- here are my people!!! It’s a place that I love, and that I long to emulate here in some way. I believe in the power of community, especially in the church, and especially among artists. Because when we’re left alone with ourselves for too long, we can be consumed either by discouragement in our failure or by a dangerously inflated ego. Either way, our identity is not rooted in Christ and we can’t bear fruit for the kingdom of God. Along with that, however, the Rabbit Room creates a sacred place for artists to gather and share the goodness of God through everything from good music, blog posts, books, and more. Thus community is important. So, for Andrew to have come up with this brilliant idea- a place for people and artists of all kinds to discover, be inspired, to be fed, to feed, and to ultimately remember their part in the body of Christ- their identity in Christ- that’s a huge deal. “A really great storyteller like Andrew enables people to experience their own story in a truer, deeper, and more beautiful way,” says Ellie Holcomb. I agree. 5. Hutchmoot– Honestly, I can’t even talk about this. No, I mean I literally can’t, because I’ve never been. But I long to go. For one thing, they have an awesome name… (Which of course, is the most important thing.) To hear it described as a gathering of “like-souled” individuals to engage in unique community just sounds so life-giving. It’s a real life opportunity to intentionally gather and go “further up and further in” as Aslan said. They call Peterson a “people-gatherer.” And that’s what he does. Whether it’s through his Behold the Lamb of God tour, The Rabbit Room, or through his beautiful songs and stories that I love to savor while soul-huddling with dear friends. I can’t help but think of Jesus. I can’t help but see a parallel, but on a much deeper, heartbreakingly beautiful level. We gather and fill rooms and coffee shops and pubs and everywhere with our wonder. We toast his victory, his kingdom, his love. And anything that is heartbreakingly beautiful in the way Andrew’s art is just acts as another part of transformation- of the glorious, unbelievable Story breaking through from heaven to earth. So, take a leaf out of Andrew Peterson’s book. Keep gathering, keep writing, keep singing, keep engaging, keep creating. And be brave and humble enough to share with others. < Previous Day 21: Hand-drawn Christmas Cards! Next > Day 23: Have Courage and Be Kind.